This was an impressive performance produced by a group of amateur and semi-professional local musicians. Their dedication and careful preparation resulted in an evening of uplifting music making. Mendelssohn’s Overture: Calm Sea and Prosperous Voyage requires playing of great delicacy. While the execution fell short of such necessary subtleties, overall the impression in regard to style and sonority maintained the crucial palate of colours. Elgar’s Enigma Variations, another testimony to the notorious density of the composer’s orchestration; whilst being deft, nimble, thickly layered it thus requires dextrous and agile playing. That these players avoided the treacherous pitfalls that can so often mar performances of this work was a credit to all. They seemed to relish in the colours and imbued their performances with a palpable sense of collective pride. Nimrod was taken at a flowing pace, allowing its lyrical lines to register with true ‘British’ poignancy. The following variation, Dorabella, was no less impressive an example, and the delicate and buoyant rhythms were finely etched. Tchaikovsky’s mighty Symphony No.5 was given a bold and purposeful account; the opening Andante/Allegro was impressive in its sense of architectural sweep. If the doleful slow movement revealed some lapses in ensemble and the Valse lacked in some refinement, the final movement had real élan and substantial excitement. The principal woodwind players (Janet McDonald, Nicky Pound, Jo Maddock and John Perfect) gave committed and well-defined solos, while the brass secured some resplendent sounds. Mandy Cook’s famous horn solo was carefully managed. The strings, so often the Achilles heel of amateur orchestras, made an impressive sound, illustrated in the slower movements. Andrew Lowen inspired authority in performances that revealed the composers’ intentions. His careful attentiveness to orchestral balance and ensemble went hand in hand with his inherent musicality. 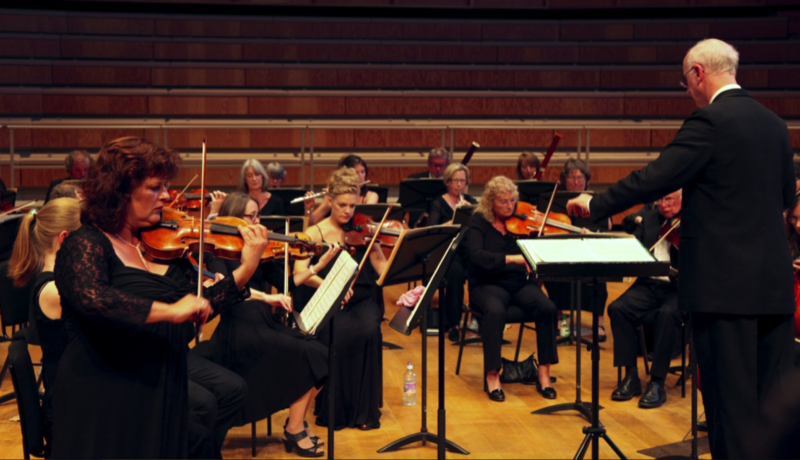 Canterbury Orchestra’s summer concert explores elements of the transition from Classicism to Romanticism in the then Austro-German empire centred around the vibrant musical hub of Vienna. Haydn’s “Drumroll” symphony, written in London before his return to Vienna, provides an example of his late classical symphonies; Hummel, a protege of Haydn, gives us the first modern trumpet concerto and from Leipzig we hear one of Schumann’s early flirtations with the symphony.